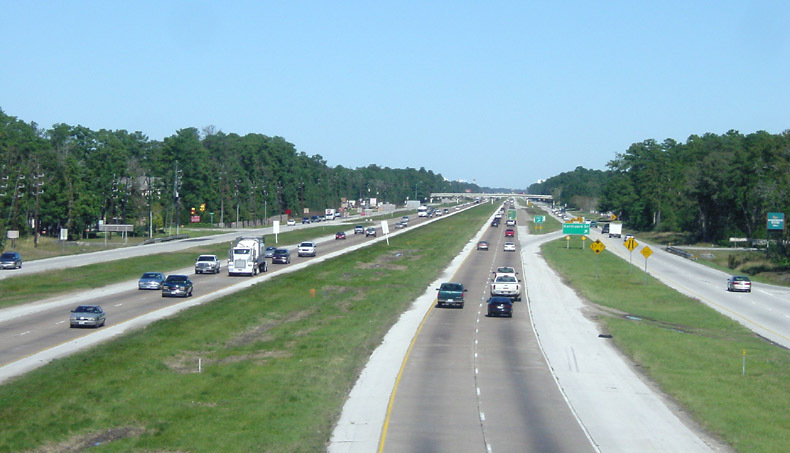 The expansion between FM 1960 and Kingwood is nearly complete. 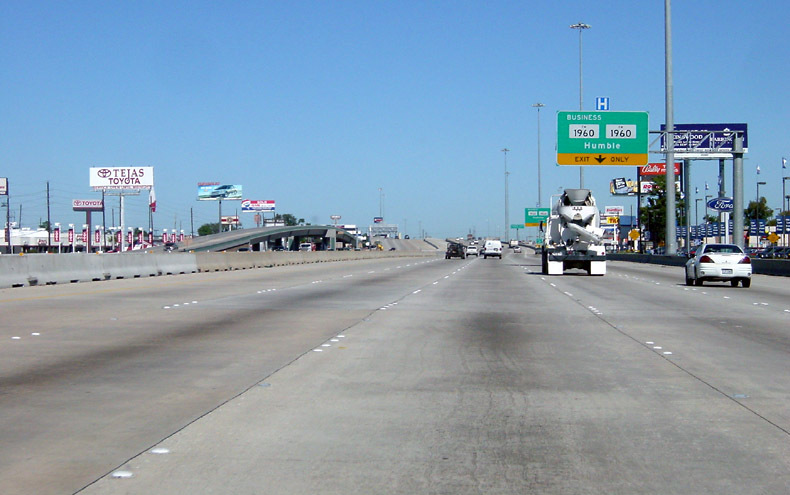 On November 19, the main lanes were open and construction workers were putting the finishing touches on the HOV lane. 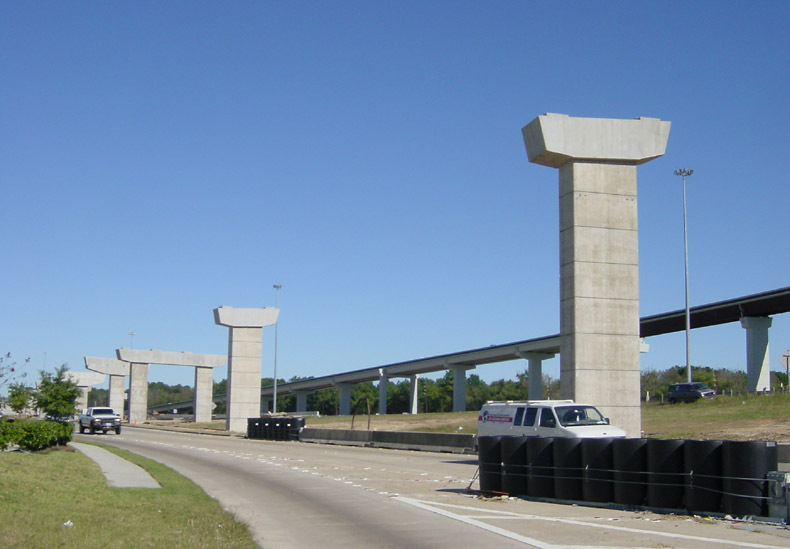 Work is progressing quickly on the three direct connector ramps at Beltway 8. 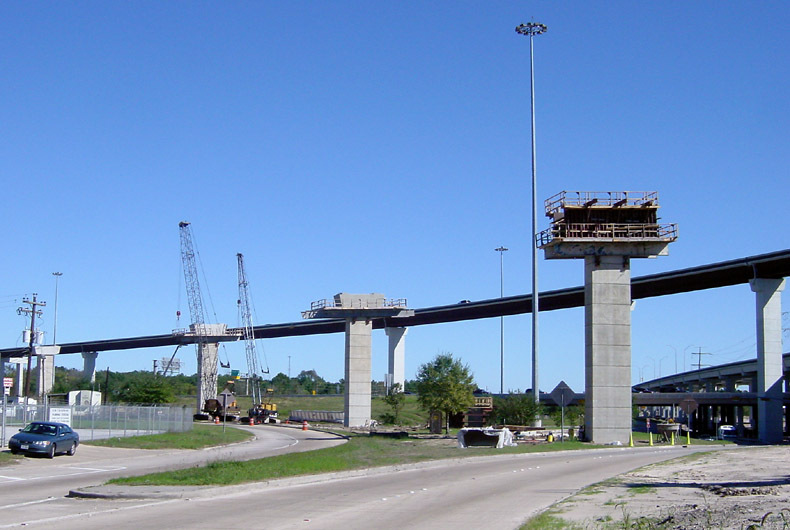 This view looks northwest at the connection construction at Beltway 8. This view looks northwest and shows a wider view of the scene above. 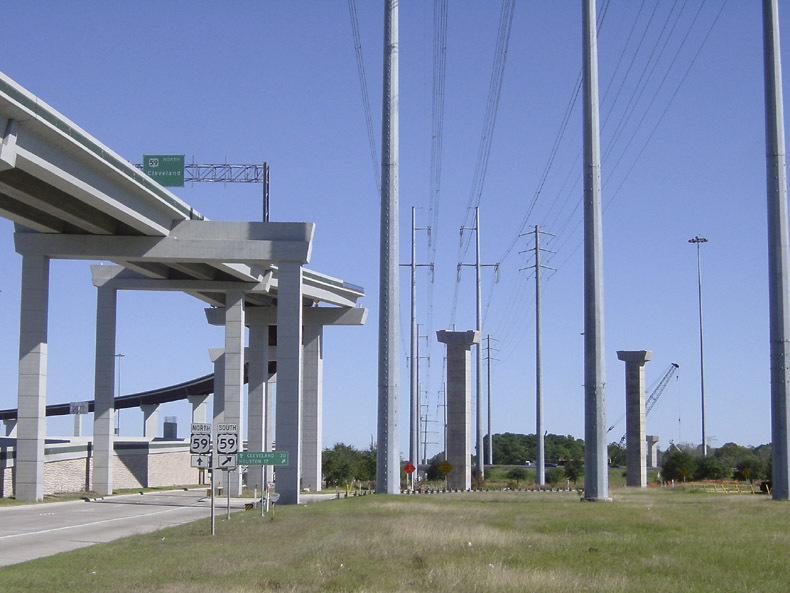 Looking east along the Beltway 8 westbound frontage road. 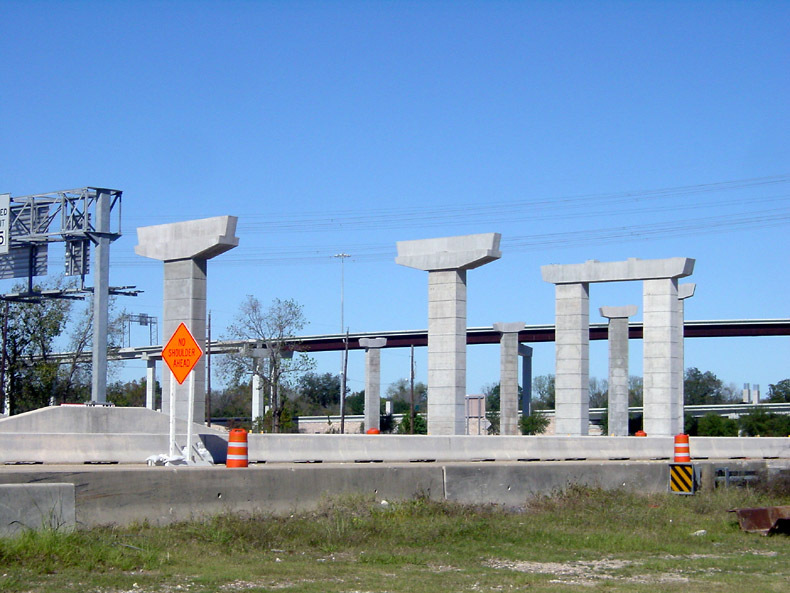 The connector under construction is for southbound US 59 traffic connecting to westbound Beltway 8. Looking north along the US 59 southbound frontage road. Looking east along the Beltway 8 eastbound frontage road. 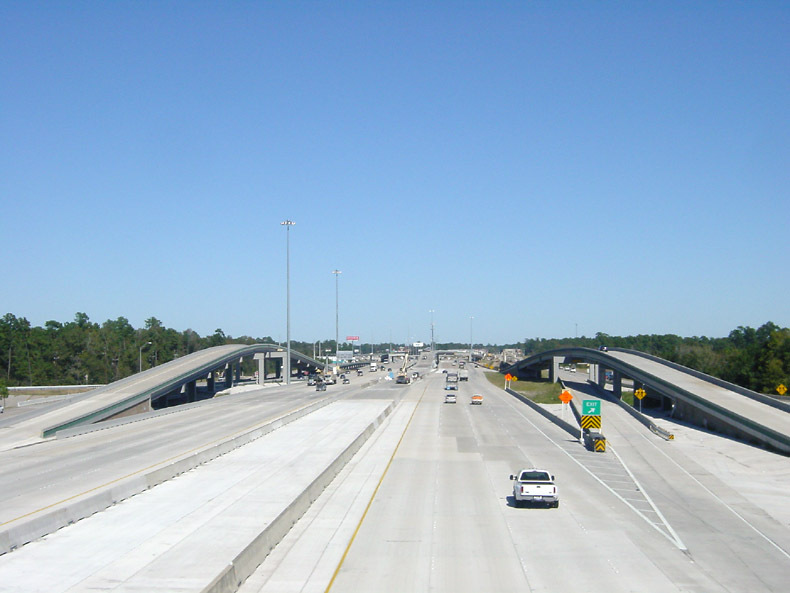 Driver's view going northbound on the Eastex Freeway approaching FM 1960. Looking north from the Townsen Road overpass at the newly expanded freeway. There are braided ramps on both sides of the freeway. A closer look at the braided ramp on the northbound side. Looking north from the Kingwood overpass. 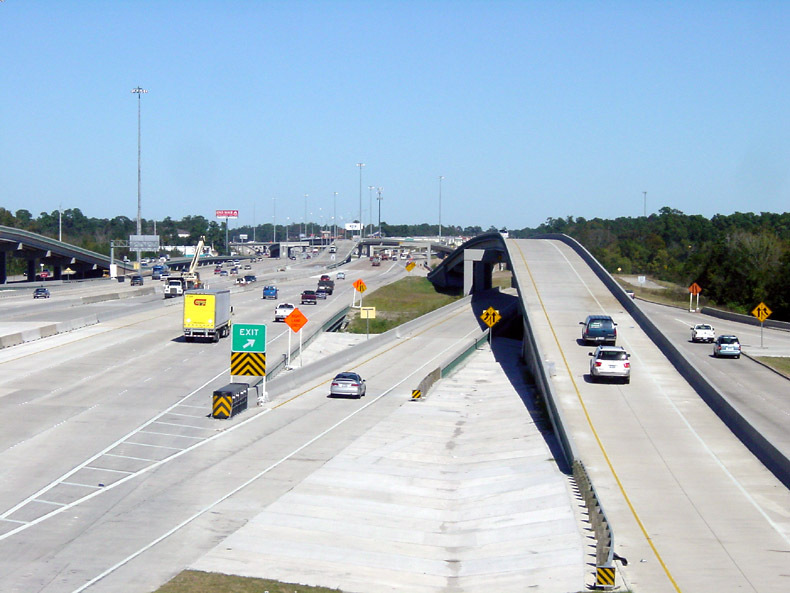 This section will be expanded to eight lanes in the future. The contract award is still years away, however.